Time magazine named CAR-T cell therapy pioneer Dr Carl June of University of Pennsylvania in their 2018 TIME 100 annual list of the 100 most influential people in the world. 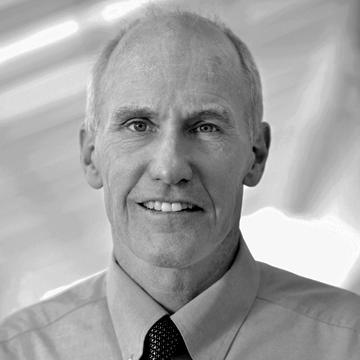 We had the opportunity to talk to Dr Carl June at CureTalks about how this new-in-cancer therapy is going to change the way we fight cancer. CAR T cell therapy, uses body’s genetically engineered immune system to hunt and kill cancer cells. FDA approved this first gene therapy treatment in the US in August 2017. Named “Kymriah” by Novartis, this therapy was approved for treatment of an aggressive type of Leukemia (specifically Acute Lymphoblastic Leukemia) in children and young adults up to 25 years of age who did not respond to other treatments. Immune therapy is precisely targeted at just the cancer cells. It does not cause those off-target effects that standard chemotherapy and radiation cause. There are many different antigens or molecules on tumor cells. CAR T cell technology helps make a very strong recognition or binding of the T cell to the tumor cell, so that T cells can kill without fail. Some early stage trials are testing if boosting CAR T cells, either by re-infusing and maybe by giving maintenance infusions may benefit patients. An ongoing trial in Seattle is vaccinating patients with CD19 antigen to boost up the CAR T cells. Some hospitals are testing off-the-shelf CAR T cells in very early stage trials, and a few companies are working on making off the shelf T cells for patients with leukemia. Various CAR T cell therapy trials in AML are ongoing, targeting different antigens like CD33 and CD123. … but we did not have initially the tools that were good enough to make it work. Now we have through all years and years of basic research on the immune system and ways to modify genes. In fact, in the entire human genome sequencing effort has had a major benefit in this cancer immunotherapy…..all this can be done now because we have better tools to get the job done. We wish Dr. June and his team success in their future research on CAR T cell therapy in treatment of diseases other than leukemia as well.